The term Material includes everything that influences what the surface of a 3D model looks like: The color, texture, shininess, and opacity/transparency. Plain coloring is covered in Hello Node. Loading models that come with materials is covered in Hello Asset. In this tutorial you learn to create and use custom JME3 Material Definitions. /** Sample 6 - how to give an object's surface a material and texture. Left – A cube with a brown monkey texture. Right – A translucent monkey picture in front of a shiny bumpy rock. Move around with the WASD keys to have a closer look at the translucency, and the rock’s bumpiness. 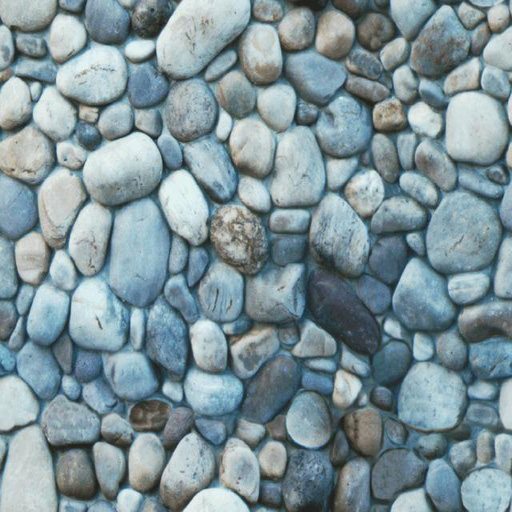 Typically you want to give objects in your scene textures: It can be rock, grass, brick, wood, water, metal, paper… A texture is a normal image file in JPG or PNG format. In this example, you create a box with a simple unshaded Monkey texture as material. Create a Geometry cube1Geo from a Box mesh cube1Mesh. Create a Material cube1Mat based on jME3’s default Unshaded.j3md material definition. Create a texture cube1Tex from the Monkey.jpg file in the assets/Interface/Logo/ directory of the project. Load the texture cube1Tex into the ColorMap layer of the material cube1Mat. Apply the material to the cube, and attach the cube to the rootnode. Monkey.png is the same texture as Monkey.jpg, but with an added alpha channel. The alpha channel allows you to specify which areas of the texture you want to be opaque or transparent: Black areas of the alpha channel remain opaque, gray areas become translucent, and white areas become transparent. A Geometry in the Bucket.Transparent render bucket. This bucket ensures that the transparent object is drawn on top of objects behind it, and they show up correctly under the transparent parts. For non-transparent objects, the drawing order is not so important, because the z-buffer already keeps track of whether a pixel is behind something else or not, and the color of an opaque pixel doesn’t depend on the pixels under it, this is why opaque Geometries can be drawn in any order. What you did for the transparent texture is the same as before, with only one added step for the transparency. Create a Geometry cube2Geo from a Box mesh cube2Mesh. This Box Geometry is flat upright box (because z=0.01f). Create a Material cube2Mat based on jME3’s default Unshaded.j3md material definition. Create a texture cube2Tex from the Monkey.png file in the assets/Textures/ColoredTex/ directory of the project. This PNG file must have an alpha layer. Activate transparency in the material by setting the blend mode to Alpha. Set the QueueBucket of the Geometry to Bucket.Transparent. Load the texture cube2Tex into the ColorMap layer of the material cube2Mat. Learn more about creating PNG images with an alpha layer in the help system of your graphic editor. In a lit material, the standard texture layer is refered to as DiffuseMap, any material can use this layer. A lit material can additionally have lighting effects such as Shininess used together with the SpecularMap layer and Specular color. And you can even get a realistically bumpy or cracked surface with help of the NormalMap layer. Let’s have a look at the part of the code example where you create the shiny bumpy rock. Create a Geometry from a Sphere shape. Note that this shape is a normal smooth sphere mesh. (Only for Spheres) Change the sphere’s TextureMode to make the square texture project better onto the sphere. You must generate TangentBinormals for the mesh so you can use the NormalMap layer of the texture. Create a material based on the Lighting.j3md default material. Set a standard rocky texture in the DiffuseMap layer. Set the NormalMap layer that contains the bumpiness. The NormalMap was generated for this particular DiffuseMap with a special tool (e.g. Blender). Set the Material’s Shininess to a value between 1 and 128. For a rock, a low fuzzy shininess is appropriate. Use material colors to define the shiny Specular color. Assign your newly created material to the Geometry. Let’s move and rotate the geometry a bit to position it better. Remember that any Lighting.j3md-based material requires a light source, as shown in the full code sample above. To deactivate Shininess, do not set Shininess to 0, but instead set the Specular color to ColorRGBA.Black. As you have seen, you can find the following default materials in jme/core-data/Common/MatDefs/…. Colored: Use with mat.setColor() and ColorRGBA. Textured: Use with mat.setTexture() and Texture. 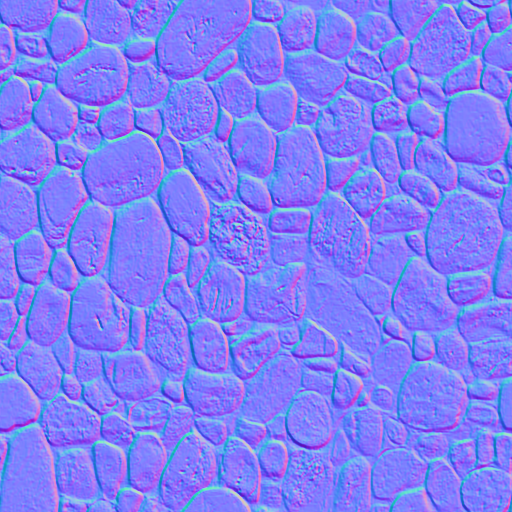 Use with shiny Textures, Bump- and NormalMaps textures. For a game, you create custom Materials based on these existing MaterialDefintions – as you have just seen in the example with the shiny rock’s material. Look at the shiny rocky sphere above again. It takes several lines to create and set the Material. Note how it loads the Lighting.j3md Material definition. Note how it sets the DiffuseMap and NormalMap to a texture path. Note how it activates UseMaterialColors and sets Specular and Diffuse to 4 float values (RGBA color). Note how it sets Shininess to 64. If you want to use one custom material for several models, you can store it in a .j3m file, and save a few lines of code every time. Note that Material is a fixed keyword. Note that My shiny custom material is a String that you can choose to describe the material. Note how the code sets all the same properties as before! In the code sample, comment out the eight lines that have sphereMat in them. Run the app. The result is the same. Using this new custom material MyCustomMaterial.j3m only takes one line. You have replaced the eight lines of an on-the-fly material definition with one line that loads a custom material from a file. Using .j3m files is very handy if you use the same material often. Which property of the rock is lost? Change the value of Shininess to values like 0, 63, 127. What aspect of the Shininess changes? You have learned how to create a Material, specify its properties, and use it on a Geometry. You know how to load an image file (.png, .jpg) as texture into a material. You know to save texture files in a subfolder of your project’s assets/Textures/ directory. You have also learned that a material can be stored in a .j3m file. The file references a built-in MaterialDefinition and specifies values for properties of that MaterialDefinition. You know to save your custom .j3m files in your project’s assets/Materials/ directory. Now that you know how to load models and how to assign good-looking materials to them, let’s have a look at how to animate models in the next chapter, Hello Animation. Video Tutorial: Editing and Assigning Materials to Models in jMonkeyEngine SDK (from 2010, is there a newer one?